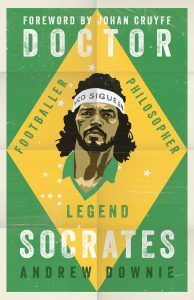 WHAT: Intellectual pelada with Andrew Downie, author of Doctor Socrates. Moderated by Dr. Christopher Gaffney. WHERE: FSF sessions take place online via Zoom. To participate in the session, send an RSVP to Alex Galarza (galarza.alex AT gmail).